Brexit Roundtable at the Airbus Experience Center. 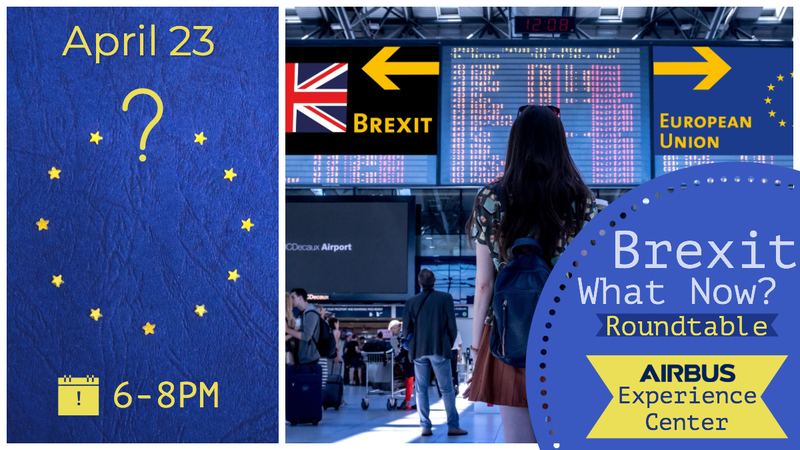 To paraphrase a British lawmaker, all we know about Oct 31, the latest deadline for Great Britain to exit the E.U., is that it will be a Thursday. And that is more than we know about Brexit's ultimate fate. And everyday, the question everybody is asking is: WHAT NOW? To attempt to answer the question, we have assembled a great panel of experts from various countries. 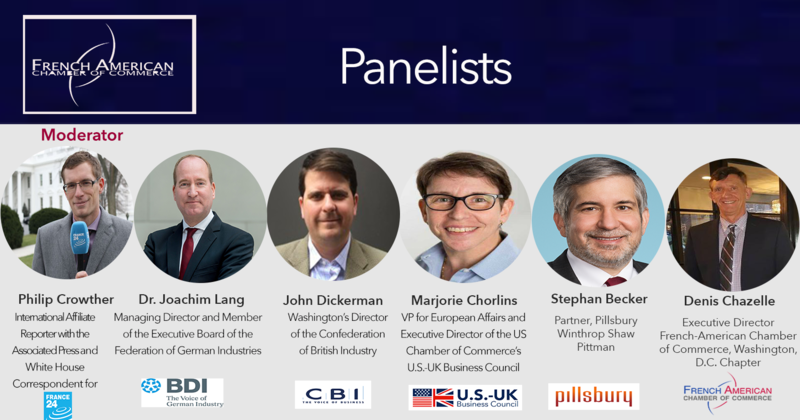 We will discuss the state of Brexit as it stands that day, and the implications and repercussions for businesses in Europe, in particular France, Germany and the U.K., as well as for the U.S. The event will take place at the Airbus Experience Center in Washington, D.C. and will include time for networking as well as visiting the Experience Center. A light buffet will be served. Please note that while the event will be held at the Airbus Experience Center, the views expressed by the panelists are their own and not those of Airbus.